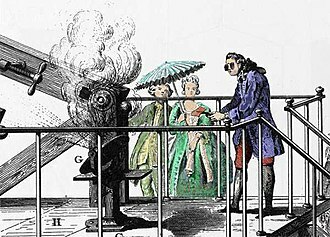 The year 1751 in science and technology involved some significant events. The globular cluster 47 Tucanae (or 47 Tuc), visible with the unaided eye from the southern hemisphere, is discovered by the French astronomer Nicolas Louis de Lacaille, who catalogues it in his list of southern nebulous objects: at a distance of 16000 lightyears, it has a total mass nearly 1 million times the Sun's mass and is 120 light years across, making it appear in the sky as wide as the full moon. 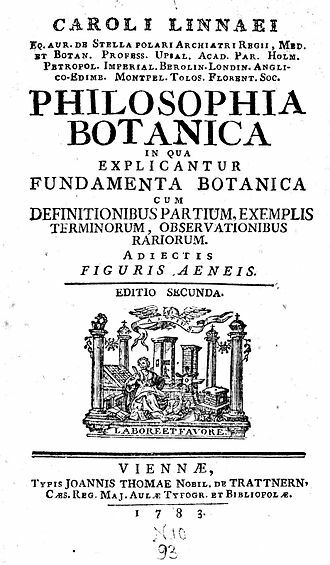 Linnaeus publishes his Philosophia Botanica, the first textbook of descriptive systematic botanical taxonomy and the first appearance of his binomial nomenclature. Nickel (symbol Ni, atomic weight 58.71, atomic number 28) is discovered, in the mineral nickeline, by chemist Axel Fredrik Cronstedt in Stockholm, Sweden (although nickel was used in coins in China as early as 235 BCE). May 11 – Pennsylvania Hospital founded in Philadelphia by Benjamin Franklin and Thomas Bond, the first in the United States. 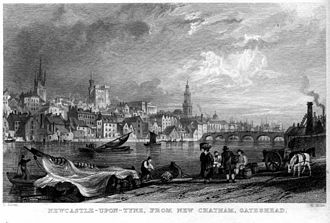 Newcastle Infirmary founded in Newcastle upon Tyne, England. The pupil reflex is discovered: it is the first reflex of the human body to be discovered. 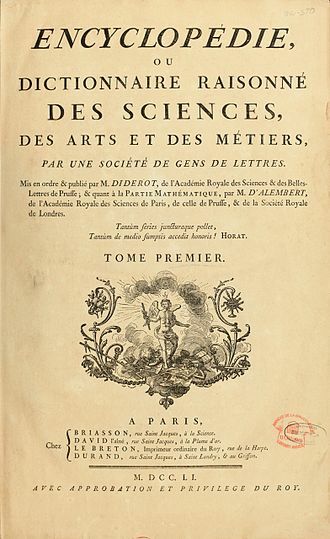 Commencement of publication in Paris of the Encyclopédie, ou dictionnaire raisonné des sciences, des arts et des métiers edited by Denis Diderot and Jean d'Alembert. 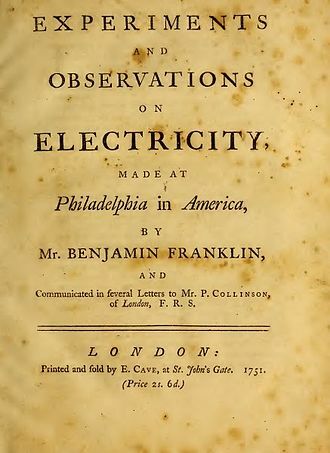 1st edition of Benjamin Franklin's Experiments and Observations on Electricity is published. ^ "Historic Tours". Penn Medicine. University of Pennsylvania. Archived from the original on 2011-09-07. Retrieved 2011-09-27. A chemist is a scientist trained in the study of chemistry. 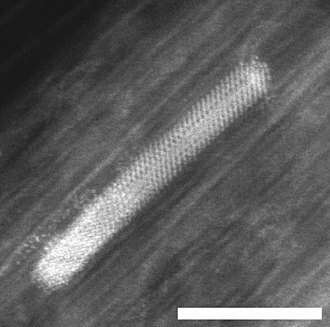 Chemists study the composition of matter and its properties, chemists carefully describe the properties they study in terms of quantities, with detail on the level of molecules and their component atoms. Chemists carefully measure substance proportions, reaction rates, and other chemical properties, the word chemist is used to address Pharmacists in Commonwealth English. 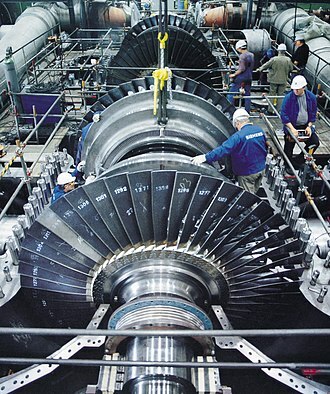 Chemists may specialize in any number of subdisciplines of chemistry, materials scientists and metallurgists share much of the same education and skills with chemists. 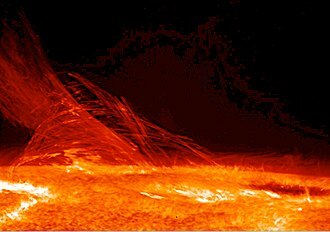 The roots of chemistry can be traced to the phenomenon of burning, fire was a mystical force that transformed one substance into another and thus was of primary interest to mankind. 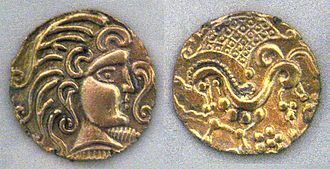 It was fire that led to the discovery of iron and glasses, after gold was discovered and became a precious metal, many people were interested to find a method that could convert other substances into gold. This led to the protoscience called alchemy, the word chemist is derived from the New Latin noun chimista, an abbreviation of alchimista. Alchemists discovered many chemical processes that led to the development of modern chemistry, Chemistry as we know it today, was invented by Antoine Lavoisier with his law of conservation of mass in 1783. The discoveries of the elements has a long history culminating in the creation of the periodic table by Dmitri Mendeleev. The Nobel Prize in Chemistry created in 1901 gives an excellent overview of chemical discovery since the start of the 20th century. Jobs for chemists usually require at least a degree, but many positions, especially those in research. At the Masters level and higher, students tend to specialize in a particular field, postdoctoral experience may be required for certain positions. Workers whose work involves chemistry, but not at a complexity requiring an education with a degree, are commonly referred to as chemical technicians. Such technicians commonly do such work as simpler, routine analyses for quality control or in clinical laboratories, there are degrees specific to become a Chemical Technologist, which are somewhat distinct from those required when a student is interested in becoming a professional Chemist. Jean-Baptiste le Rond dAlembert was a French mathematician, physicist and music theorist. Until 1759 he was co-editor with Denis Diderot of the Encyclopédie, DAlemberts formula for obtaining solutions to the wave equation is named after him. The wave equation is referred to as dAlemberts equation. Born in Paris, dAlembert was the son of the writer Claudine Guérin de Tencin and the chevalier Louis-Camus Destouches. Destouches was abroad at the time of dAlemberts birth, days after birth his mother left him on the steps of the Saint-Jean-le-Rond de Paris church. According to custom, he was named after the saint of the church. DAlembert was placed in an orphanage for foundling children, but his father found him and placed him with the wife of a glazier, Madame Rousseau, Destouches secretly paid for the education of Jean le Rond, but did not want his paternity officially recognized. DAlembert first attended a private school, the chevalier Destouches left dAlembert an annuity of 1200 livres on his death in 1726. 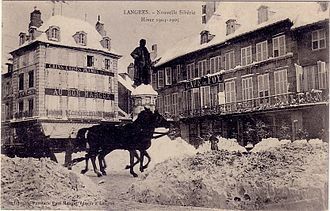 Under the influence of the Destouches family, at the age of twelve entered the Jansenist Collège des Quatre-Nations. Here he studied philosophy and the arts, graduating as baccalauréat en arts in 1735, in his life, DAlembert scorned the Cartesian principles he had been taught by the Jansenists, physical promotion, innate ideas and the vortices. The Jansenists steered DAlembert toward a career, attempting to deter him from pursuits such as poetry. Theology was, rather unsubstantial fodder for dAlembert and he entered law school for two years, and was nominated avocat in 1738. He was interested in medicine and mathematics, Jean was first registered under the name Daremberg, but changed it to dAlembert. The name dAlembert was proposed by Johann Heinrich Lambert for a moon of Venus. In July 1739 he made his first contribution to the field of mathematics, at the time Lanalyse démontrée was a standard work, which dAlembert himself had used to study the foundations of mathematics. DAlembert was a Latin scholar of note and worked in the latter part of his life on a superb translation of Tacitus. Carl Linnaeus, known after his ennoblement as Carl von Linné, was a Swedish botanist and zoologist, who formalised the modern system of naming organisms called binomial nomenclature. He is known by the father of modern taxonomy. Many of his writings were in Latin, and his name is rendered in Latin as Carolus Linnæus, Linnaeus was born in the countryside of Småland, in southern Sweden. He received most of his education at Uppsala University. He lived abroad between 1735 and 1738, where he studied and published a first edition of his Systema Naturae in the Netherlands and he returned to Sweden, where he became professor of medicine and botany at Uppsala. In the 1740s, he was sent on journeys through Sweden to find and classify plants. In the 1750s and 1760s, he continued to collect and classify animals and minerals, at the time of his death, he was one of the most acclaimed scientists in Europe. The philosopher Jean-Jacques Rousseau sent him the message, Tell him I know no man on earth. The German writer Johann Wolfgang von Goethe wrote, With the exception of Shakespeare and Spinoza, Swedish author August Strindberg wrote, Linnaeus was in reality a poet who happened to become a naturalist. 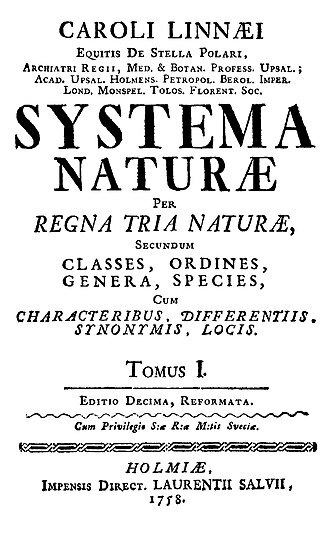 Among other compliments, Linnaeus has been called Princeps botanicorum, The Pliny of the North and he is considered as one of the founders of modern ecology. 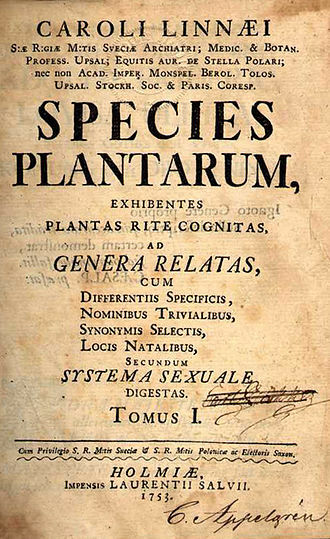 In botany, the abbreviation used to indicate Linnaeus as the authority for species names is L. In older publications, sometimes the abbreviation Linn. is found, Linnæus was born in the village of Råshult in Småland, Sweden, on 23 May 1707. He was the first child of Nicolaus Ingemarsson and Christina Brodersonia and his siblings were Anna Maria Linnæa, Sofia Juliana Linnæa, Samuel Linnæus, and Emerentia Linnæa. One of a line of peasants and priests, Nils was an amateur botanist, a Lutheran minister. Christina was the daughter of the rector of Stenbrohult, Samuel Brodersonius, a year after Linnæus birth, his grandfather Samuel Brodersonius died, and his father Nils became the rector of Stenbrohult. The family moved into the rectory from the curates house, even in his early years, Linnæus seemed to have a liking for plants, flowers in particular. The Royal Victoria Infirmary is an 673-bed tertiary referral centre in Newcastle upon Tyne, England. 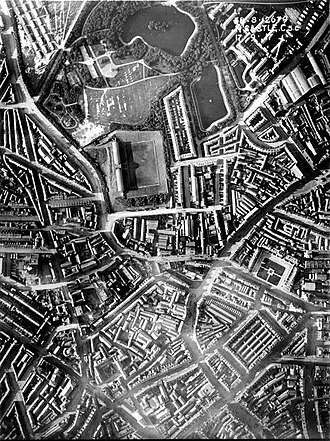 The hospital is part of the Newcastle upon Tyne Hospitals NHS Foundation Trust and is a hospital for the University of Newcastle upon Tyne. The fully furnished and equipped hospital, containing twenty wards, a home and five operating theatres. The statue of Queen Victoria was the gift of Riley Lord, the Royal Victoria Infirmary has always had close links with the Faculty of Medical Sciences at Newcastle University as a major teaching hospital. The RVI forms the hub of one of the four base units for medical students at the university. The New Victoria Wing, including an accident and emergency department, replacing that of the Newcastle General Hospital. The RVI is the site of the Great North Childrens Hospital, the hospital is the only provider of Mohs micrographic surgery for skin cancer in the North East of England. List of hospitals in England Royal Victoria Infirmary, Newcastle upon Tyne Hospitals NHS Foundation Trust. 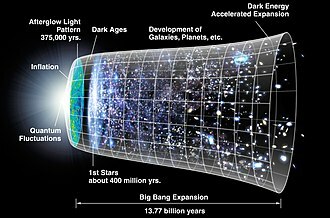 The year 1741 in science and technology involved some significant events. August 29 – Pluto reached perihelion, december 11 – a Fire-ball and explosion heard over southern England, about 11 a. m. a countryman. Saw a flash of Lightening Before he heard the Noise, took its Course to the East. 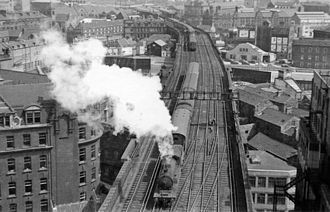 It divided into Two Heads left a Train of Smoke. which continued ascending for 20 minutes, the description is reminiscent of the Chelyabinsk meteor of 2013. Anders Celsius establishes the Uppsala Astronomical Observatory, pehr Wilhelm Wargentin publishes his first paper on the moons of Jupiter, in the Acta of the Royal Society of Sciences in Uppsala. Edmund Weaver publishes The British Telescope, Being an Ephemeris of the Coelestial Motions, johann Jacob Dillenius publishes Historia Muscorum, a significant work on cryptogams. May – Vitus Bering sets out from Petropavlovsk-Kamchatsky to map the coasts of Siberia, july 15 – Alexei Chirikov sights land in Southeast Alaska. He sends some men ashore in a longboat, making them the first Europeans to visit Alaska, nicolas Andry publishes Orthopédie, giving a name to the discipline of orthopedics. A reflex action is the bodys movement in response to a stimulus. Scientific use of the term refers to a behavior that is mediated via the reflex arc. Eating, walking and doing all that day to day activities that involves your muscles with brain are all voluntary actions, digestion, coughing and breathing can be considered involuntary. The stretch reflexes provide information on the integrity of the nervous system. Generally, decreased reflexes indicate a problem, and lively or exaggerated reflexes a central one. Newborn babies have a number of other reflexes which are not seen in adults and these automatic reactions to stimuli enable infants to respond to the environment before any learning has taken place. 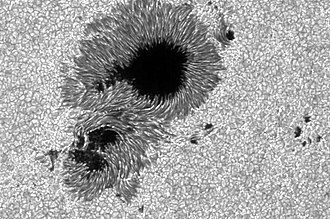 Others of these involve just a couple of synapses to function, processes such as breathing and the maintenance of the heartbeat can be regarded as reflex actions, according to some definitions of the term. In medicine, reflexes are often used to assess the health of the nervous system, doctors will typically grade the activity of a reflex on a scale from 0 to 4. 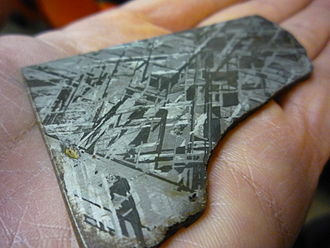 Nickeline or niccolite is a mineral consisting of nickel arsenide containing 43. 9% nickel and 56. 1% arsenic. Small quantities of sulfur and cobalt are usually present and this last forms an isomorphous series with breithauptite. They blamed a mischievous sprite of German mythology, Nickel for besetting the copper and this German equivalent of copper-nickel was used as early as 1694. 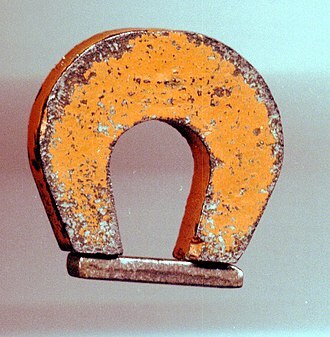 In 1751, Baron Axel Fredrik Cronstedt was attempting to extract copper from kupfernickel mineral, in modern German and Kupfer-Nickel designates the alloy Cupronickel. 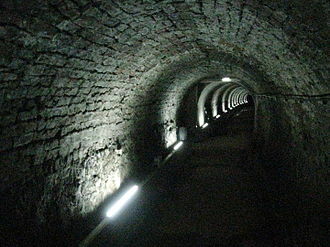 The names subsequently given to the ore, nickeline from F. S. Beudant,1832, in 1971, the International Mineralogical Association recommended use of the name nickeline rather than niccolite. This typically results in mineral assemblaged including millerite and metamorphic pentlandite-pyrite via sulfidation, associated minerals include, barite, cobaltite, pentlandite, chalcopyrite and maucherite. 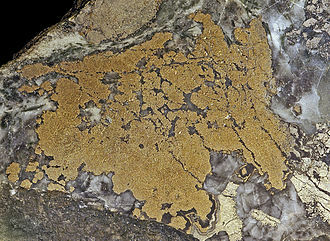 Nickeline alters to annabergite on exposure to moist air, most of these minerals can be found in the areas surrounding Sudbury and Cobalt, Ontario. Other occurrences include within similarly modified nickel mines of the Kambalda area, the unit cell of nickeline is used as the prototype of a class of solids with similar crystal structures. Compounds adopting the NiAs structure are generally the chalcogenides, arsenides and bismuthides of transition metals, when nickel sulfide ore deposits have been altered to produce nickeline, often the presence of arsenic renders the ore uneconomic when concentrations of As reach several hundred parts per million. However, arsenic bearing nickel ore may be treated by blending with clean ore sources, to produce a blended feedstock which the mill, the primary problem for treating nickeline in conventionally constructed nickel mills is the specific gravity of nickeline versus that of pentlandite. 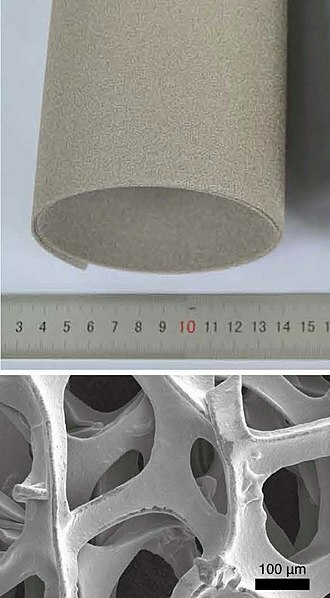 This renders the ore difficult to treat via the froth flotation technique, within the smelter itself, the nickeline contributes to high arsenic contents which require additional reagents and fluxes to strip from the nickel metal. The Messier 80 globular cluster in the constellation Scorpius is located about 30,000 light-years from the Sun and contains hundreds of thousands of stars. NGC 7006 is a highly concentrated, Class I globular cluster. Globular star cluster Messier 54. An explanation of the superscripts and subscripts seen in atomic number notation. Atomic number is the number of protons, and therefore also the total positive charge, in the atomic nucleus. 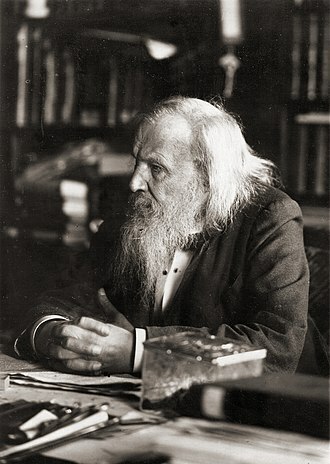 Russian chemist Dmitri Mendeleev, creator of the periodic table. 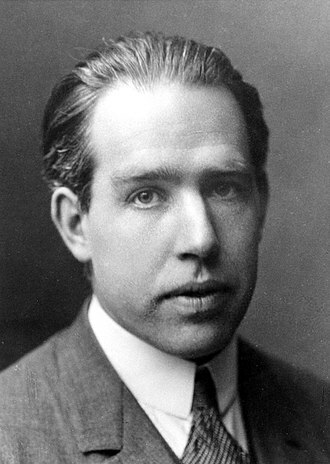 Niels Bohr, creator of the Bohr model. Henry Moseley in his lab. 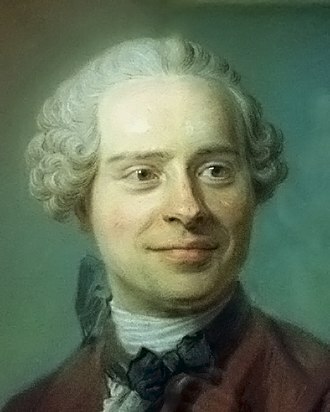 Antoine Lavoisier (1743–94) is considered the "Father of Modern Chemistry". A chemist pours from a round-bottom flask. Extract from the frontispiece of the Encyclopédie (1772). 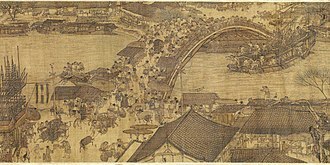 It was drawn by Charles-Nicolas Cochin and engraved by Bonaventure-Louis Prévost. The work is laden with symbolism: The figure in the centre represents truth—surrounded by bright light (the central symbol of the Enlightenment). 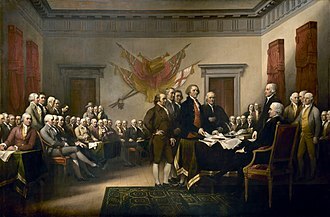 Two other figures on the right, reason and philosophy, are tearing the veil from truth. Fig. 3: "Figurative system of human knowledge", the structure that the Encyclopédie organised knowledge into. 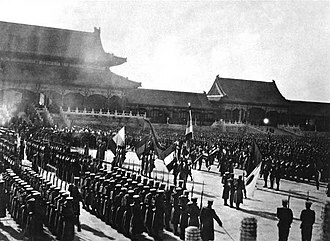 It had three main branches: memory, reason, and imagination. Franklin's electrostatic machine display at Franklin Institute museum. Typical letter in the book - July 27, 1750. Letter V in the first three English editions is Letter VI in fourth and fifth English editions. Carl Linnaeus (1707–1778) who established the binomial system of plant nomenclature. Uppsala Astronomical Observatory from a contemporary engraving.